February 22, 2008: Pharmacy officially opens! 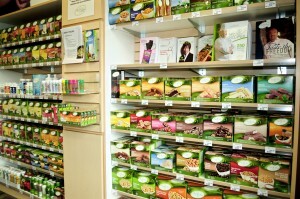 Discontinued chocolate bars and chips in favour of healthier alternative snacks! Renovated to serve you better, now twice the size with three private consultation rooms! New Script Pro, nicknamed The Count! 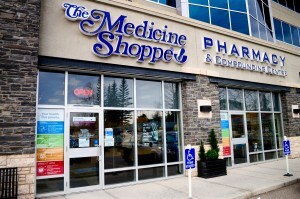 From the entire team at the Medicine Shoppe Crowfoot, THANK YOU for your support over the past 10 years. It is our pleasure to assist you in any way we can. If that is finding a specialty order item, assisting with braces and crutches, or creating a specialty compound for you or your pet. We are in the business of healthcare, and we understand that goes above and beyond counting pills. If you would like to celebrate with us, join us on Friday, March 23rd at 11:00 am for our Anniversary Celebration! We will also be drawing for gift baskets courtesy of Lowen’s Natural Skincare, Sigvaris, Metagenics, and Chorus Supernatural. Our grand prize is a $500 gift card for WestJet! Make sure you pop in this month to complete a ballot entry!